Moat at the entrance of Palakkad fort. 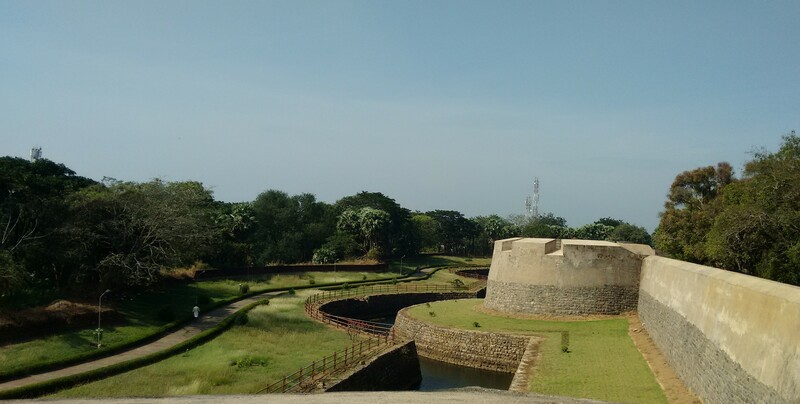 Jogging tracks have been constructed around the Palkkad fort, as seen from one of the watch towers. Palakkad skyline, greenery all around. 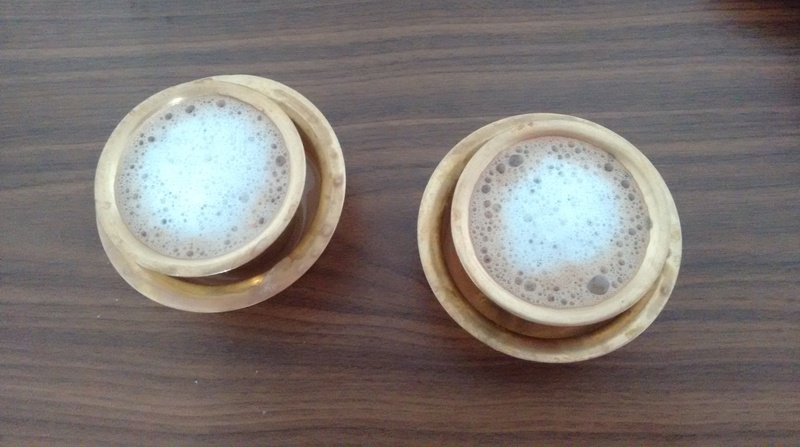 Final post describing my journey to Palakkad. Read the first part here. The next morning in Palakkad, I got up early to go for a walk around town. 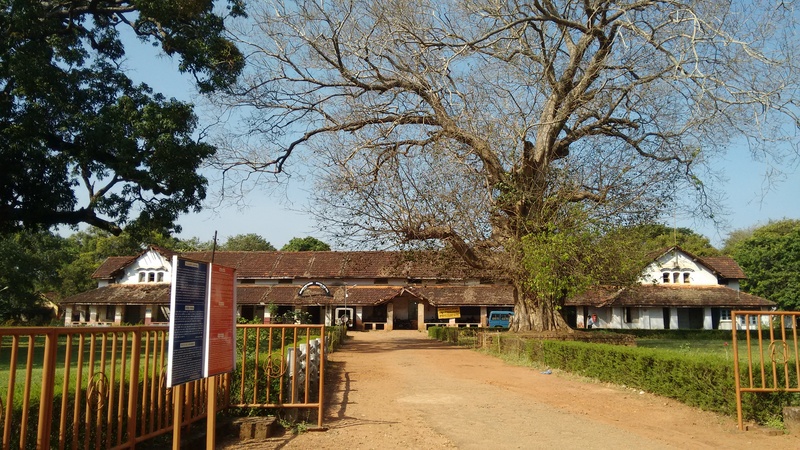 The fort of Palakkad was very close by. I took a long looping walk near it, and found lots of people playing, running, walking in the grounds opposite to it. Since we were here primarily for the wedding reception, we didn’t have much time to visit around. 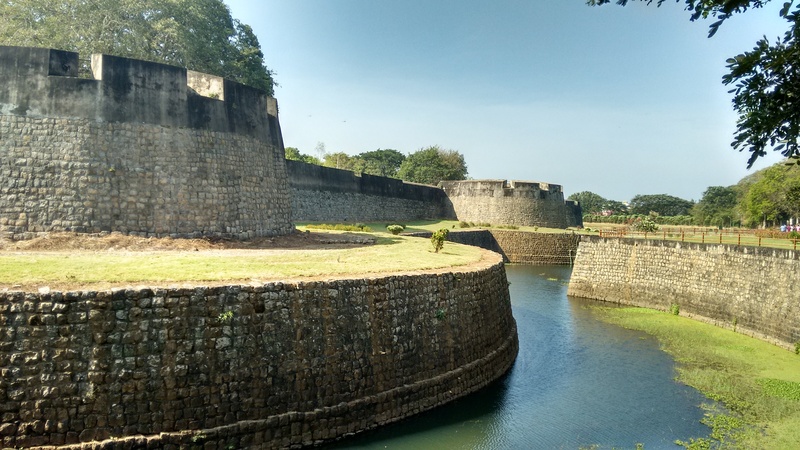 We decided to go to the Palakkad fort and give other places a drop. Also known as Tipu’s fort, this monument is considered to be ancient, but came into prominence after Hyder Ali (Tipu Sultan’s father) captured Palakkad in 1750s. The fort is a bit of anti-climax. If you were expecting something huge on difficult-to-reach mountain terrain, you are definitely going to be disappointed! The fort has solid walls and a large moat, but other than that, it is pretty simple – built on ground level and easily accessible from the town. And not much to see inside. There is just a temple and a prison, and jogging tracks on the perimeter. Everything is well maintained though, with manicured lawns and clean premises. You can take a walk on the surrounding walls, which will take an hour or so. By the time we were done with the walk, we were sweating, and decided to have some raw fruits (mangoes, pineapples, watermelons) sprinkled with masala available at the roadside vendors. The rest of the day passed in the functions, and before I realized, it was time to leave for Hyderabad the next morning. Western Ghats on the horizon, from inside Palakkad fort. The operational prison inside Palakkad fort. 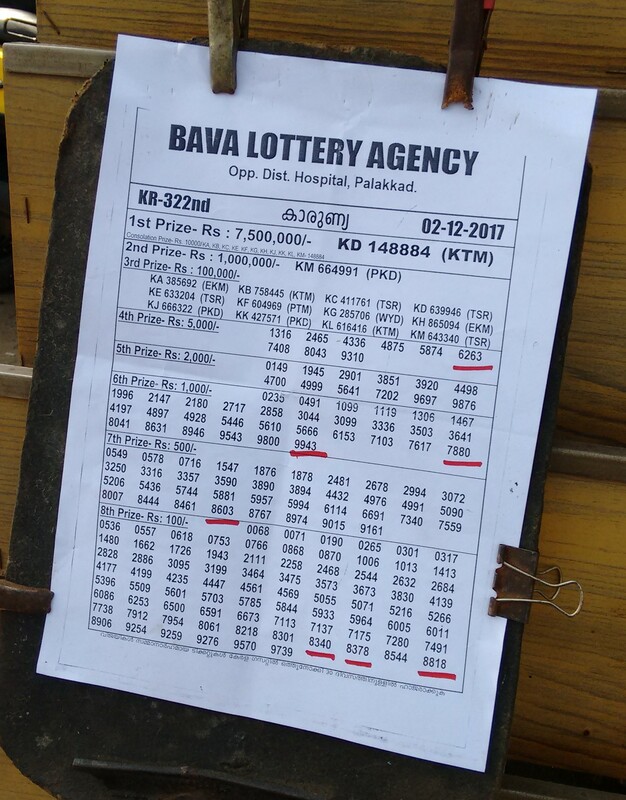 Lottery stand outside the fort.